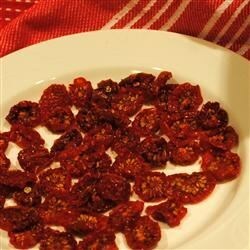 Cherry tomatoes are easily dried in a food dehydrator. When I make soup or stew I throw in a handful, and they taste like they were just picked. You could also rehydrate them in warm water for some other use.